Precision agriculture or operational agriculture is a dynamically developing field of agricultural science, which is based on geoinformatics. 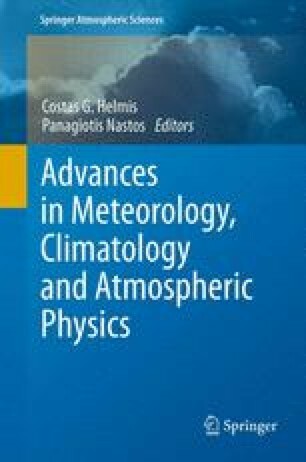 Agrometeorological remote sensing contributes through processing and analysis of high resolution satellite images to decision support at field level. In this paper, in HYDROSENSE project, the classification of organic matter zones is presented aiming at the assessment of water and fertilizer operational needs per zone for cotton crops in Thessaly during the phenological cycle. Two pan-sharpened satellite images WorldView-2 (0.5 m) of the region are used, one before planting and the other at the maximum plant cover, as well as one pan-sharpened reference satellite image (2007) IKONOS-2 (1 m). The methodological processing approach includes image filtering and preprocessing, as well as processing, which involves principal component analysis and clustering leading to the production of thematic maps. These maps are combined with mapping through geostatistical analysis of weekly periodic field measurements in three selected cotton fields referring to NDVI, Red/Red edge, NIR/Red and the development of a mini GIS. The results of this combined analysis lead to organic matter zones of the whole region for decision support in precision agriculture. This research effort was executed in the premises of Laboratory of Agrometeorology of the University of Thessaly and co-financed by the European Commission Life + Programme, HYDROSENSE project.